Thanksgiving is my favorite holiday. Perhaps that sounds trite, but it doesn’t make it any less true. In all seriousness, though, I find a great deal of value in the emphasis on gratitude. Reflecting on our lives and acknowledging the things we are thankful for is never a wasted exercise, Thanksgiving or not. Personally, I have an immense amount to be thankful for. My amazing wife, Wendy, and brilliant daughter, Maya, head the list. Family and friends. An exciting job that makes a real impact on the lives of humans and pets. I am beyond grateful for all of these things and much more. And I know I speak on behalf of everybody here at PetCure Oncology in expressing our collective appreciation to everybody that has supported us since we treated our first patient 18 months ago. It has been an incredible journey. Thanks to the support of pet owners, veterinarians and good, compassionate people everywhere, we have grown into a five-site network that has treated more than 500 pets with cancer. And, as I write this, I can’t help but pause and reflect on that number. As of this writing the number is actually 509, to be exact. That’s not just 509 treatments or 509 cancer patients. That’s 509 lives. 509 families. 509 opportunities to provide hope where it may have otherwise been lost. 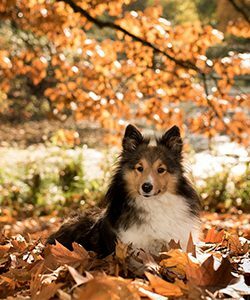 Just this week, our hard-working teams around the country squeezed in pre-holiday treatments for Dakota in Ohio; Ally, Lilly and Asti in New Jersey; Lucy in Wisconsin; and Jake and Brady in Arizona. 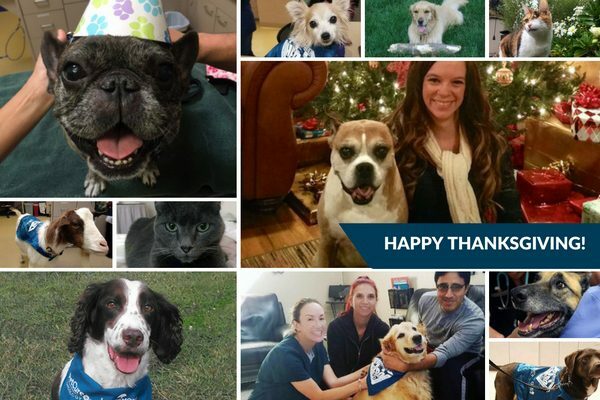 We are thankful for the opportunity to touch their lives, and sincerely hope that their pet families have a brighter, richer Thanksgiving as a result. This personal blog entry was contributed by Ben Chiswick, PetCure Oncology’s Director of Marketing Communications and the proud pet parent of Bandit, a 9-year-old Australian Cattle Dog.